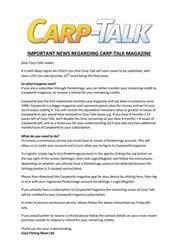 This week’s issue of Carp-Talk (issue 1055) is available to download now. 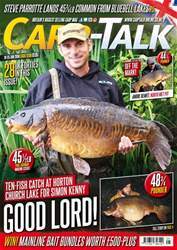 It has been an incredible week of big-carp catches, topped by fifties from the South and Cambridgeshire. 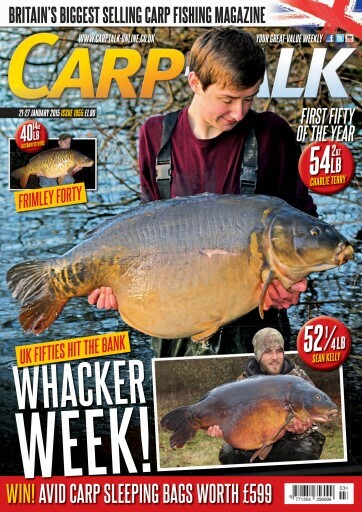 Charlie Terry earned a new personal best with the capture of a 54lb 2oz mirror from a southern gravel pit, and Sean Kelly took his first UK fifty in the form of Monks Pit’s Porky at 52¼lb. Ash Bailey recounts a couple of highlights from his current campaign on the New Forest Water Park. Team Korda offers advice on how to make this January your best yet, and Adam Clewer takes a trip down memory lane. Alan Blair reveals his winter targets, and Iain Macmillan has a few tips to help keep your mojo flowing until the clocks go forward. Paul Carter pays a visit to the Quarry in a South East Report Special, and Ian Russell is in A-Z. 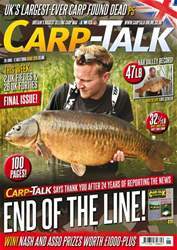 Products from Taska, 30Plus, CC Moore, Korum, Avid Carp and Tor Baits go under the spotlight in Trade Talk. 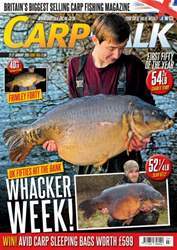 The Gardner Tackle monthly winners are announced, and there is £599 worth of Avid Carp products to give away.